It's a mega marathon's marathon when you consider that NASA's OSIRIS-REx was launched two years ago, has traveled 1.1 billion miles, and is just now beginning to slow down upon approach to its target, asteroid Bennu, with arrival scheduled for December 3. 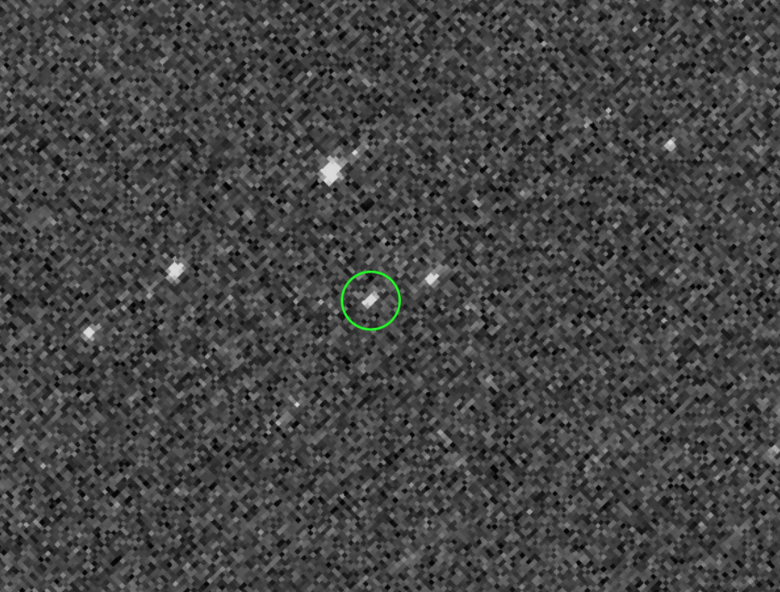 On August 17, the OSIRIS-REx spacecraft obtained the first images of its target asteroid Bennu from a distance of 1.4 million miles (2.2 million km), or almost six times the distance between the Earth and Moon. This cropped set of five images was obtained by the PolyCam camera over the course of an hour for calibration purposes and in order to assist the mission’s navigation team with optical navigation efforts. Bennu is visible as a moving object against the stars in the constellation Serpens. After an almost two-year journey, NASA’s asteroid sampling spacecraft, the Origins, Spectral Interpretation, Resource Identification, Security-Regolith Explorer (OSIRIS-REx), caught its first glimpse of asteroid Bennu last week and began the final approach toward its target. Kicking off the mission’s asteroid operations campaign on August 17, the spacecraft’s PolyCam camera obtained the image from a distance of 1.4 million miles (2.2 million km). OSIRIS-REx is NASA’s first mission to visit a near-Earth asteroid, survey the surface, collect a sample and deliver it safely back to Earth. The spacecraft has traveled approximately 1.1 billion miles (1.8 billion km) since its September 8, 2016, launch and is scheduled to arrive at Bennu on December 3. Artist's concept of OSIRIS-REx flying past Earth. After arrival at Bennu, the spacecraft will spend the first month performing flybys of Bennu’s north pole, equator and south pole, at distances ranging between 11.8 and 4.4 miles (19 and 7 km) from the asteroid. These maneuvers will allow for the first direct measurement of Bennu’s mass as well as close-up observations of the surface. These trajectories will also provide the mission's navigation team with experience navigating near the asteroid. NASA’s Goddard Space Flight Center provides overall mission management, systems engineering and the safety and mission assurance for OSIRIS-REx. Dante Lauretta of the University of Arizona, Tucson, is the principal investigator, and the University of Arizona also leads the science team and the mission’s science observation planning and data processing. Lockheed Martin Space in Denver built the spacecraft and is providing flight operations. 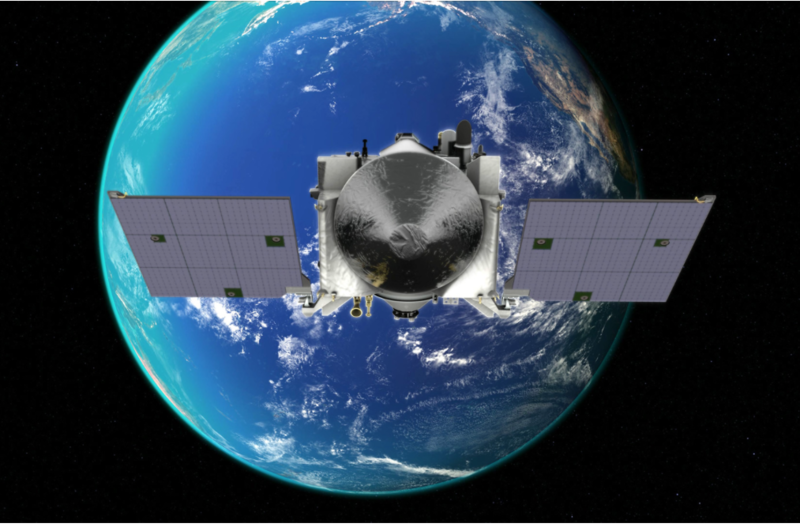 Goddard and KinetX Aerospace are responsible for navigating the OSIRIS-REx spacecraft. OSIRIS-REx is the third mission in NASA’s New Frontiers Program. NASA’s Marshall Space Flight Center in Huntsville, Alabama, manages the agency’s New Frontiers Program for its Science Mission Directorate in Washington.